Why stay in a hotel room when you can rent this 3 bedroom condo rentals with 2 baths located in Sweetwater Club. This cozy condo has all the amenities one could possibly need. Sweetwater has a heated community pool, tennis courts and play area for the kids. 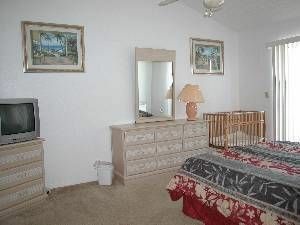 Book this 3 Bedrooms Condo which Sleeps 5-8 in Kissimmee Florida Vacation Rentals.